Following a fall in the Shanghai market, Chinese Cinderella is whisked away to Grandma Wu's house to recover. As she lapses in and out of consciousness, she is haunted by vivid dreams that seem strange - yet somehow familiar - to her. 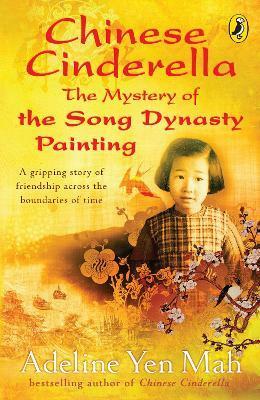 A tale of slavery and friendship, wealth, poverty and an arranged marriage begins, as Chinese Cinderella recalls a life lived centuries before. Adeline Yen Mah lives in California after growing up in Tianjin and Shanghai in China, Hong Kong and England. She studied medicine but gave up her career as a physician to become a full-time writer. After the death of her stepmother, she felt compelled to write her story and the result, Falling Leaves, became an international bestseller. Adeline later adapted it for children under the title Chinese Cinderella. She has written several other books for adults and children including Chinese Cinderella and the Secret Dragon Society, an adventure based on her own made-up stories when she was a lonely child.